﻿We provide the best services to meet our customers&apos; needs. 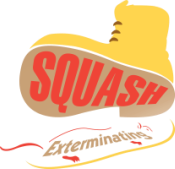 Take a look at they have to say about their experience with Squash Exterminating. Bless you for taking the time to give us insight and your recommendation. Always great to hear that we are making a difference and improving the quality of life in your building. Let us know if we can help you even further. Very prompt and pleasant! Looks like my ants are gone. A pleasure to deal with everyone. So glad you were pleased. Thanks for your time with this review. Thanks so much for comments, we are pleased that you chose us to resolve your issue, your business is so much appreciated. Mindy is very helpful and accommodating. The technician is very punctual and very professional. Glad you had a pleasant experience with us, and thanks for the shout out!! We had a wonderful experience with Squash--they were extremely communicative, kind, and professional throughout our bed bug scare/extermination process. Bedbug situations can be quite scary, that's what were here for, to educate the client and take care of it with efficiency and professionalism. Thanks so much for your recommendation. Thank you for the review, fruit flies can be tough, happy that we were able to help. Very courteous and professional. Great customer service and pleasant demeanor. We appreciate the review, and always strive for professionalism. I remember the issue that you had, quite unpleasant. Glad we were able to solve your issue. Mindy was extremely helpful with scheduling my appointment & kept me updated on the timing. George did a thorough & amazing job & was very pleasant. Thanks for the review, pleased that everything went smoothly. We appreciate the review, those ants are resilient, that advice is right on! Make sure to let us know if they return we’ll be happy to come back to retreat. Great customer service. Mindy always provides updates and follows through on the things she says. Technician did a great job addressing my questions and concerns. As always we do our best for our customers, thanks for the feedback! Mindy is really amazing!! very professional and helpful and goes out of her to accommodate. My tenants love the technician from Squash who always arrives early before they leave to work. Thanks for the feedback, we always try accommodate your tenants as best we can. Thanks for the feedback, glad we were able to fix your issue. So glad to hear that the problem has slowed down, as always let us know if you need us to come down again. Thanks for taking the time, 👍👍. Great Service, Any time we need them they're always there. I definitely recommend them. Thanks for the recommendation, your business is always appreciated. Thanks for the review, we know those flies can be a pain. Glad they’re gone. We appreciate the business, we always try to educate the client first. Thanks for the review! The Squash techs came out to my fulfillment center where we had a rat issue, two weeks later and we haven’t seen any droppings, they were friendly and very explanatory on what they would do to get rid of them. Thanks for the feedback. Your review is much appreciated. Thanks for giving us a shout out!! We always try to educate our customers on why they have the issue, what we can do to take care of it, and then finally how it can be avoided in the future. We appreciate the encouraging words. We appreciate the feedback. Glad we were able to be there on time and resolve the issue. Recommending Squash to others really helps to continue the growth of our business. This company was easy to work around my schedule. They contacted me when the exterminator was on the way. It was a very short time for the treatment and the guy was friendly. If I need a exterminator again I’ll use Squash!! Thanks so much for sharing this review with us, we greatly appreciate it. Glad we can be of service. Let us know if there is anything we can do for you in the future. We’re so glad that we were able to assist you. The review is appreciated!! We appreciate the feedback, and time you took to give us these 5 stars. We’ll keep on striving for customer satisfaction. The service was great! Very efficient and detail oriented! Thanks so much for the review. Please let us know if the ant problem comes back, we’ll be right over. We are so glad that your experience with Squash was positive. Let us know if we can assist you in the future. I will pass on the kind words to Mindy. We appreciate your kinds words. As always let us know how we can help you in the future. Thank you for the kind words, it’s our pleasure to provide you with the best possible service. So glad that we were able to solve the issue, were always here to help. What a professional and great company to work with! Mac is really a great guy! They got the job done quickly and efficiently! Now I know why they call themselves squash! It’s no joke! Highly recommend them! Keep up the good work boys! Thank you for the glowing review. We always try achieve the highest level of satisfaction from our customers. Happy New Year. Glad we can be of service let us know if you see those nasty bugs again, we’ll come right down. Thanks for the nice remarks, those termites were a whole lot of fun. Let us know if any issues come up our work is always guaranteed. Super Professional! Squash came to my place and literally got rid of every roach in my place. 2 weeks later still no roaches. Highly recommend them for any pest control needs. Thanks for the stellar review, it is always appreciated. Let us know if we can accommodate any further. Great experience. Mac and his team were efficient and pleasant throughout my water bug nightmare. Haven't had a problem since. Highly recommend using squash for all your pest control needs! Thank you for the feedback, we always put ourselves in the customers shoes and I hope our speedy service is up to your standards. Thank you for taking the time and letting the community know about our services, the feedback is helpful and appreciated. These guys are the best! They gave me a fare deal on monthly service for my small business and are always friendly , professional and thorough. Thank you for the feedback, it helps us continue to grow and improve our business. Stellar workmanship. If you hire them they get it done. 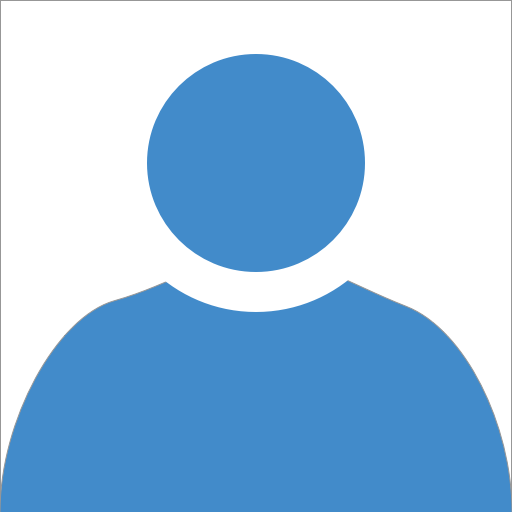 The time you’ve taken to share your thoughts are greatly appreciated. Hope we can assist you the next time when you’re in need of our services. Squash killed it!!!! No pun intended. Thanks guys! David, I am so happy that those mice are gone. Let us know if we can help you in any way. Mac. Glad we could take care of your issue. That one was tricky. Let us know how we can provide you in the future. Squash always has my back, I've hired them a few rides for the ants in the house, courteous and good at their job, would recommend. It is our pleasure to fix that ant problem for you. We hope to continue to provide the best solutions for your properties. Mac at Squash is wonderful, he scheduled an appointment for us that day and the mice are gone. Hi Tzvi, thanks so much, we at Squash are so happy to sort you out in a timely fashion. Glad the mice are gone. Squash is wonderful, they always treat my apartment, and no bugs! Thanks. Glad we can be of service, cheers for the review!! !